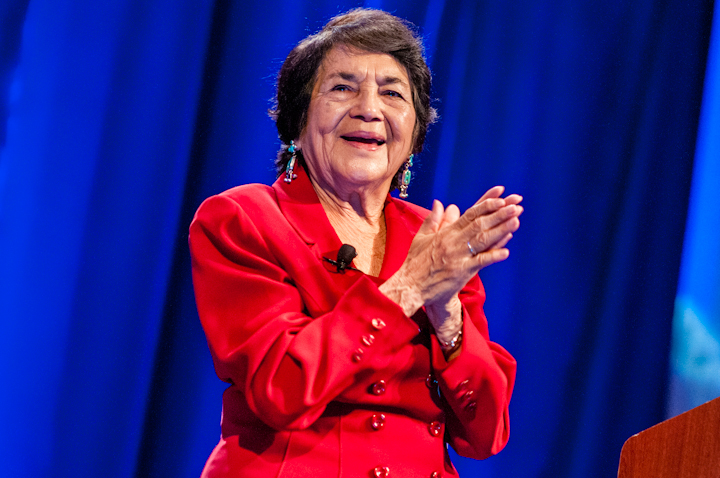 Chicana Civil Rights Movement leader Dolores Huerta asked a crowd of around 150 audience members at “An Evening with Dolores Huerta,” presented by the Northwestern Women’s Center in Evanston. Huerta is not a stranger to these times. At eight years old she became an activist, citing her frustration of the poor living conditions of Mexican migrant workers in the farms of California. Huerta was also influenced by her mother, Alicia, to help others. Alicia would offer affordable rooms for the migrant workers in her own motel and often waived their fees. 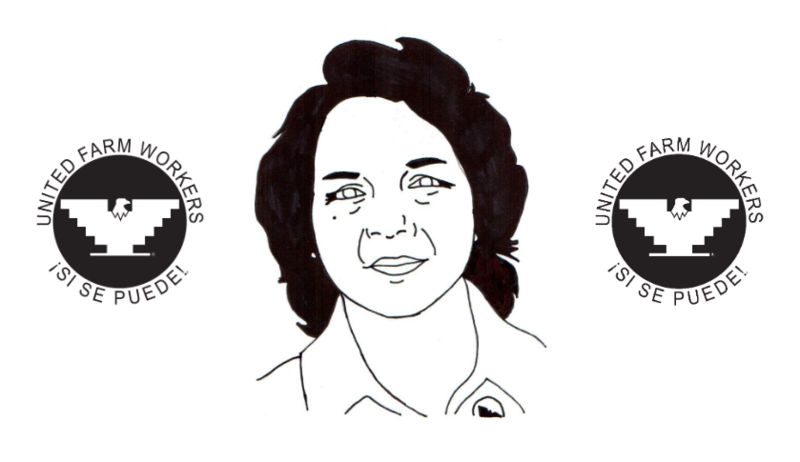 Later in life, she would co-found the National Farm Workers Association, later United Farm Workers, with Cesar Chavez. The group was a union of farm workers looking to get paid a livable wage, work reasonable hours and to limit the hours worked by children. The union also made sure that these rules were applied to every worker, no matter their race or migratory status. Huerta worked tirelessly and it paid off. She secured Aid for Dependent Families and Children (AFDC) and disability insurance for California farm workers. AFDC was a government program that financially low income families with children. She was also an instrumental figure in enacting the Agricultural Labor Relations Act of 1975, providing farm workers the right to unionize. Huerta coined the famous term ‘sí se puede’ (it can be done), in reference to making a positive change in the lives of migrant workers and women. In 2012, former President Obama bestowed upon her the Presidential Medal of Freedom, the highest civilian honor in the country. 1. Now is a time for women to be in more positions of power. Huerta says there will never be peace in the world until feminists take power. She also says it is important young women are taught to protect themselves. Huerta invites for women to stand up strong and not depend on a fictional ‘prince charming’ to fight their fights. 2. Call to change what is being taught in schools. Huerta said that racism is a learned behavior and the issue should be addressed in our schools. She says that economic literacy should also be a priority. Huerta also focused on the need for affordable higher education. She said an education free of cost is possible. She suggested looking at other countries as a role model, such as Cuba ,which provides free education for people. 3. Marching and protesting are always good ways to be heard, but real change is made at the ballot box. Huerta is excited for an oncoming “blue wave” and told attendees to not only be satisfied with voting. She invited them to “put on their sneakers and start knocking on doors” to register voters, just like she did when was 8 years old.